Your server is your website’s home on the Internet, as you know. But servers don’t exist in a vacuum – they need a physical address, and they’re usually located in a facility called a data center. You wanted to know more about data centers, you say? You’ve come to the right place. How Do Data Centers Work, Exactly? The data center localizes all the data processing and IT services from one company or organization in a single spot. If all the computer hardware is centralized in one place, it’s a lot easier for the organization’s IT staff to manage data and applications. What’s In A Data Center? The facility itself. This includes the physical location and the “white space” where the equipment and servers are installed. The support infrastructure. This is the equipment that ensures maximum uptime – keeping servers cool, fast and functional at all times. It may include environmental control systems (exhaust systems, air conditioners and heaters, and performance-maximizing architecture); uninterruptible power sources (generators, backup generators and batteries); and physical security systems (reinforced construction, surveillance equipment and biometrics). The hardware. This is all the IT equipment in the building – the servers and cables, the security hardware (routers and firewalls), and the storage installations. The people. Data centers don’t run themselves! The IT professionals at a good data center are there 24/7 to support, monitor and maintain the system. It’s their responsibility to maximize uptime and keep files and data accessible around the clock. If there are any hardware, power or connection issues, the IT staff should be hovering, ready to fix the problem. 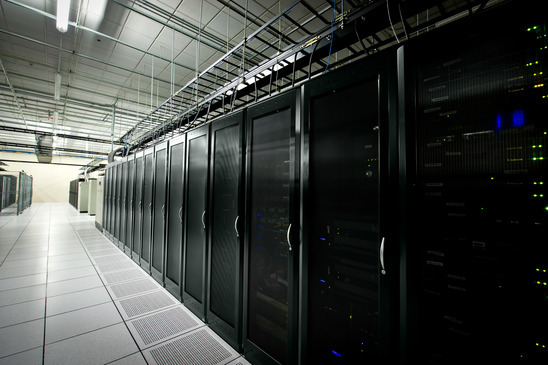 Here are more answers to some frequently asked questions about data centers.